Email marketing is still one of the most effective ways to deliver your message to a target audience. While social media provides access to billions of users on one platform, most updates and paid messages quickly get lost in the mix. With email, it’s direct, full of engagement and much easier to track, manage and improve ROI. That is why still today, even after all of the technology and global changes across the internet, email marketing is still one of the most powerful methods and platforms for driving leads and sales in the world today. Why infographics, you ask? Simply because there is no better way to turn boring text content and data into exciting visuals that people actually want to read. Enjoy! If you want to have a successful email marketing campaign, you will need to do more than just set up a mailing list, get subscribers and mailing out to the masses. 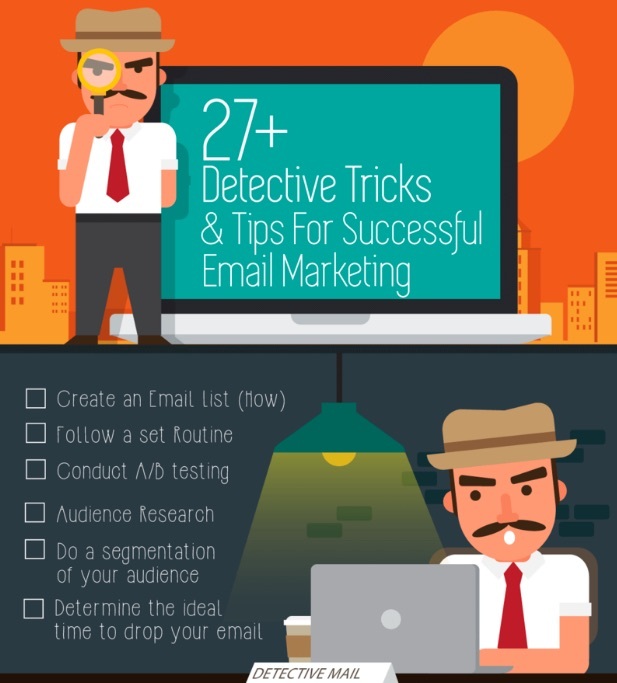 In the email marketing infographic below, you will have the opportunity to walk through 27 effective methods for improving your email outreach. Topics covered include the setup of your list, a/b split testing of content, segmentation and much more. This is a great refresher outline for both new and veteran email marketers alike. One of the biggest complaints we hear from marketers around the world is that they aren’t getting the engagement and open rates they were hoping for. This actually comes down to many different factors, such as the audience of your list, email headlines, the call-to-action and how your message is being perceived by your audience. 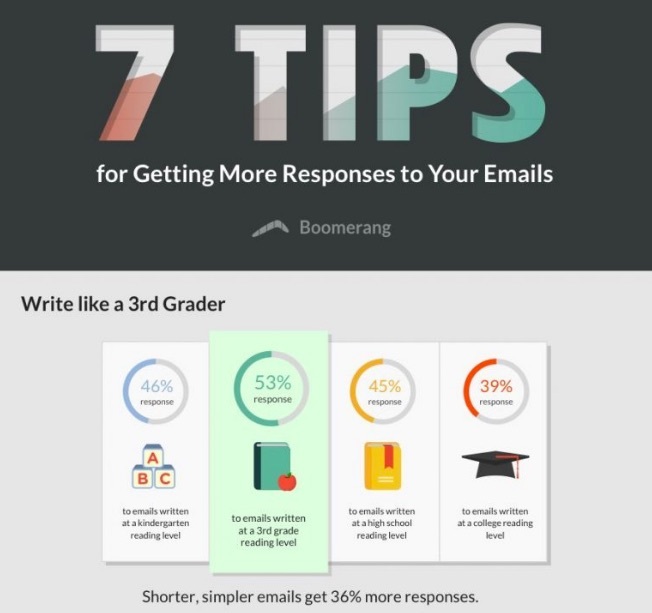 Follow this infographic for 7 effective tips for getting more responses to your next email marketing campaign. 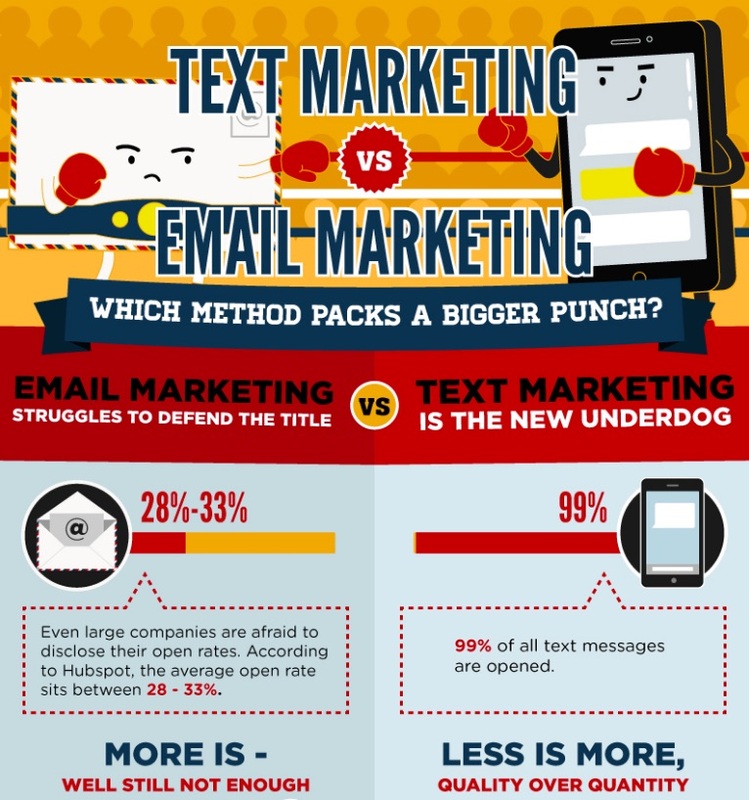 Text Marketing vs. Email Marketing: Which Method Packs a Bigger Punch? Everyone is talking about mobile marketing… and with good reason — it’s one of the best ways to send a message to your audience for instant engagement (sometimes with 99% open rates). However, it’s a big mistake to say that text marketing is in and email marketing it out. Email marketing is a much better solution when it comes to “online” shopping and email-to-website engagement, which still means a ton when trying to convert subscribers into paying customers. Through the infographic below we can take a look at the many comparisons between text / email marketing, while also seeing why each platform works differently for businesses and brands of all sizes. To best understand your email marketing numbers on all levels, you must first understand how your audience is using your site and engaging with different areas. A great example of this would be if someone visited your e-commerce site, entered their email address to join your “discounts newsletter”, but then left without making a purchase. That individual should be treated differently than if someone came to your site, joined your mailing list and then placed an order. This all goes into the full inbound marketing process of how and when users get to your site and ultimately converting them into a customer. All of which are covered through the infographic below. Email marketing is not easy, and as everyone walks through the process they usually all comes across the same questions. 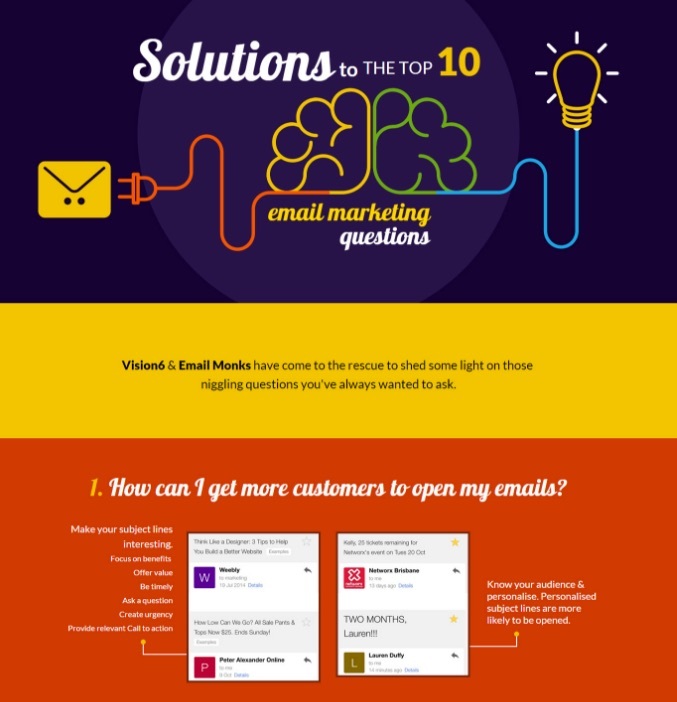 Through the 10-point infographic below, you can finally get answers to all of the most common and annoying questions that come up in the email marketing process. Such questions and topics include… how to increase email open rates, make content with emails look better, discover the latest marketing trends and what the future of mobile and wearables mean to email marketing outreach and engagement. 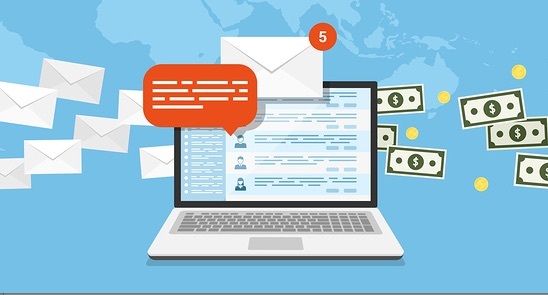 At the end of the day, all email marketing campaigns are set up and created with the sole intention of creating more revenue and business for the company. Focusing your efforts on the right marketing and your target audience can mean all of the difference. Terminus, CMO, Sangram Vajre said it best when he point out that “Less than 1% of leads turn into customers. So unless companies intend to spend a ton of resources, time and energy, ABM is the right strategy.”. 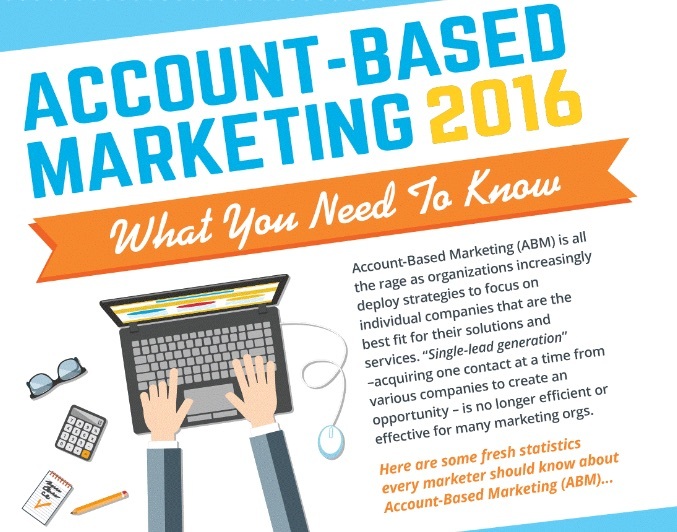 To further break down the numbers of these focus factors to effective email and account-based marketing, be sure to check out the infographic below. The last infographic in our email marketing tips series is focused on looking at the industry as a whole and statistics on what’s working best for marketers, brands and businesses today. 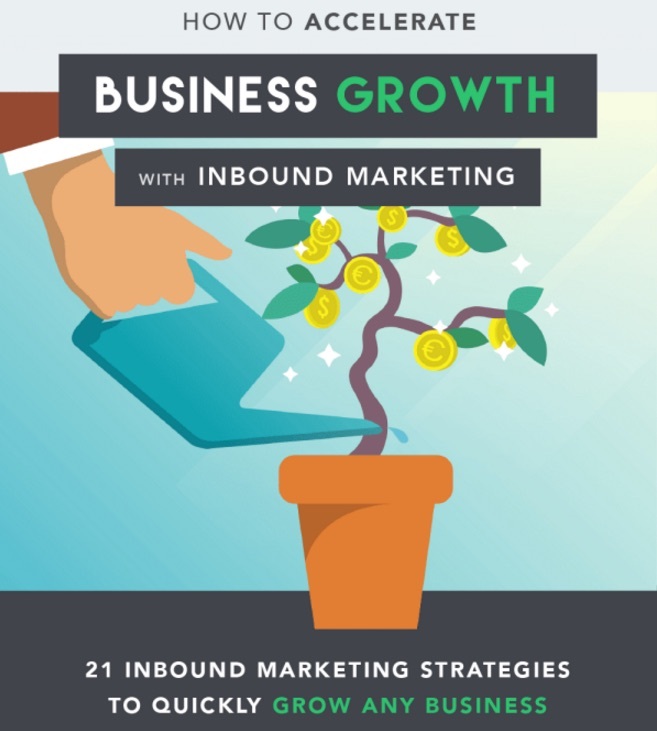 Quick tips and facts from this infographic include “20% higher open rates on average when the subject line of an email is within 6-10 words” and also that “82% of people pay more attention to emails with images in the content”. By skimming through this infographic below, you should find some quick tips to help increase your conversions and engagement across the board. No matter who your target audience is or how you are currently marketing your list, there is always room for improvement. 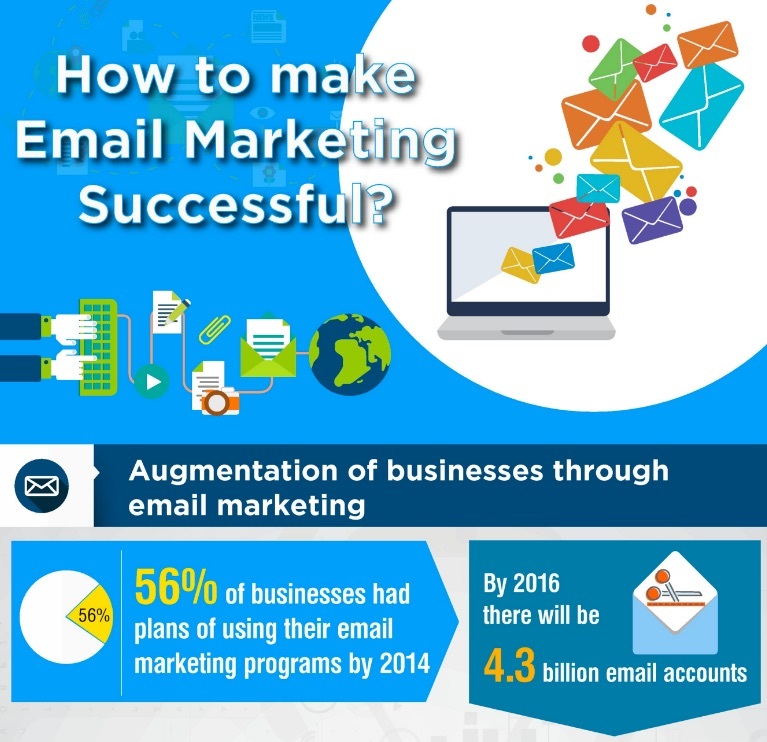 As you can see through the several email marketing infographics above, there is a wide range of methods to use when trying to improve your bottom line. At the same time, it’s just as important to make sure your lists are always growing at a fast pace — while also not jeopardizing your quality in the process. That is exactly why AfterOffers.com was created, with the end goal of helping site owners and businesses bring in new opt-in subscribers to their mailing lists, while also keeping advertiser costs low. To learn more about this process, be sure to check out the short video below. To get started with your own email lead generation campaign on AfterOffers, contact us today!